The Stand Up To Cancer (SU2C) television event is set to air live and commercial-free on FOX, September 10, 2010, at 8p.m. EST & PST / 7 p.m. CST. Joining ABC, CBS and NBC, FOX will donate one hour of live simultaneous commercial-free primetime for the nationally televised September 10th fundraising special, to be broadcast from Los Angeles. Additionally, VH1, HBO Latino, TV One and G4 have agreed to air the SU2C event. They join HBO, Discovery Health, E!, MLB Network and The Style Network for an historic evening to raise much-needed funds for groundbreaking cancer research. “Cancer claims one person every minute of every day in the United States – 1500 people every single day. This year it will take the lives of more than half a million people in this country, and almost eight million people worldwide… Cancer is a crisis and we want to convey that ALL Americans can play a role in helping the scientists who are working to end it. We’re delighted that the entertainment community is banding together in such a big way to help us get that word out,” said Laura Ziskin, who will produce the September 10th broadcast. Ziskin is a cancer survivor. Her film credits include the Spider-Man trilogy, As Good As It Gets, and Pretty Woman; she also produced the 74th and 79th Annual Academy Awards. SU2C and Major League Baseball (MLB) collaborated to create a new public service announcement (PSA) starring Jake Gyllenhaal, which premiered during the MLB All-Star Game on FOX last night, July 13. The poignant PSA draws parallels between victory in baseball and the triumph of beating cancer through teamwork and collaboration with the message that an end to cancer is now beyond a dream; it is within reach. MLB’s partnership with Stand Up To Cancer is unique, as the league was the first donor to sign on with this history-making organization. With Baseball’s support and that of other organizations, the goal is to accelerate the progress toward cures and life prolonging treatments for all types of cancers. Similar to the landmark 2008 broadcast, this year’s telecast will feature live performances by legendary recording artists and stars from film, television and sports will present content that provides viewers with insights into cancer. The star-studded appeal builds continuing public support and donations for cutting-edge cancer research that translates at a rapid pace from the laboratory to treatments and technologies benefitting patients. One hundred percent of all public donations will go directly to cancer research. Katie Couric, Diane Sawyer and Brian Williams, anchors of the CBS, ABC and NBC evening news broadcasts respectively, will host the September 10th telecast. 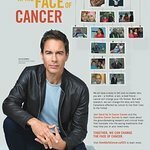 While the broadcast will honor the memory of those taken by the disease; it will also focus on surviving cancer and living a full life after being diagnosed with it. This year, 13 million people around the world will be diagnosed with cancer and 1.4 million in the United States alone. In total, there are more than 11 million cancer survivors in the U.S. today. “We’ve gone to the moon and pioneered a technology that revolutionized the way the world communicates. Applying that same innovation and commitment, scientists are on the cusp of making enormous strides in their efforts to combat cancer, but they need the public’s support and additional funding to do that. Through Stand Up To Cancer and the September 10th broadcast, people all over the country can help to whatever degree they can,” said Sherry Lansing, SU2C co-founder, founder of The Sherry Lansing Foundation and Chair of the Entertainment Industry Foundation Board of Directors. The American Association for Cancer Research (AACR), Stand Up To Cancer’s scientific partner, is responsible for administering the grants and providing scientific oversight in conjunction with the SU2C Scientific Advisory Committee, led by Nobel Laureate Phillip A. Sharp, Ph.D., institute professor at the David H. Koch Institute for Integrative Cancer Research at the Massachusetts Institute of Technology.